Harris Nydick | CFS Investment Advisory Services, LLC. 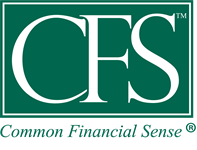 Harris Nydick is a founding partner and Managing Member of CFS Investment Advisory Services, L.L.C. and is a Registered Investment Advisor. He has been advising institutions, retirement plans, high net worth individuals and families for over 32 years. 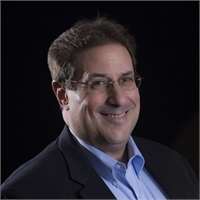 He is a featured speaker at national industry conferences on 401(k) and Retirement Plan subjects and has been featured in radio, print, and electronic media on a variety of financial topics. He also has been a contributing writer for the DCDB Daily website. Additionally, Harris has served as an adjunct faculty member of Fairleigh Dickinson University. A graduate of Syracuse University, Harris has a dual degree from The Whitman School of Management and The Newhouse School of Public Communications. He then went on to become a Certified Financial Planner™ Professional (CFP) and an Accredited Investment Fiduciary Analyst (AIFA). Since 2011, Barron’s has recognized Harris as one of the top advisors in the country. He has also been recognized as one of the country’s best 401(k) advisors by Financial Times and one of the 300 Most Influential Defined Contribution Plan Advisors in the $5-15 million market by 401(k) Wire, one of the industry’s leading trade publications. In 1995 Harris went on to help found the Select Advisors Council for SEI Investments. The Select Advisors Council is an organization of premier independent financial advisors that work with SEI to serve families and institutions in the $150 million market. Additionally, he was a founding member of the National Advisory Group, a “think-tank” of leading investment management firms located throughout the U.S. The mission of the National Advisory Group was to develop innovative investment management solutions for high net worth families, retirement plans, foundations, and endowments. Harris currently serves on the Investment Committee of the American Liver Foundation, the New Jersey Attorney Ethics Committee for Essex County District V-C, and is the Vice President of the Jewish Community Foundation of Greater Metrowest NJ. *Recipients of Wealth Manager Magazine Annual Top Advisory Firms were chosen based on their total assets under management per client. This recognition is not representative of investment performance or returns.